The weather has finally cooled enough that I had to cut the stalk. 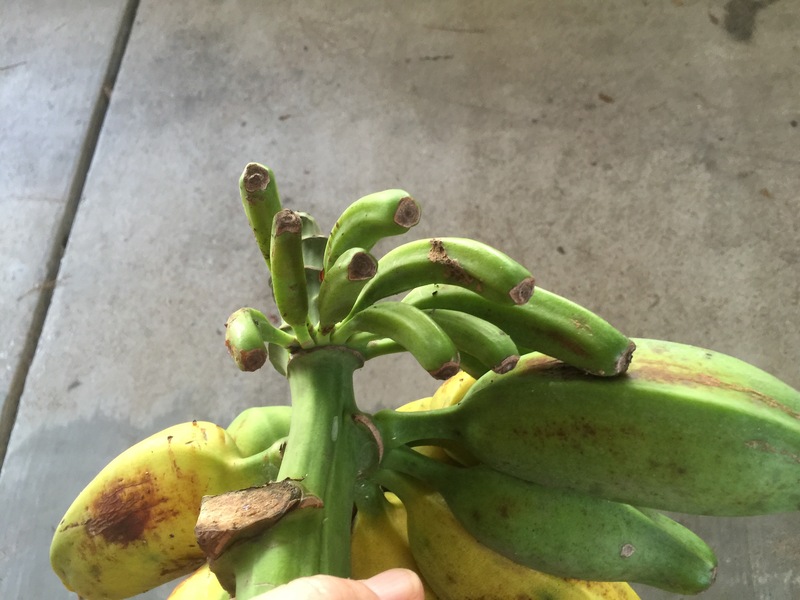 When I inspected the bananas this morning I noticed that the ripening process has sped up. Our friends and neighbors will receive some treats. The bunch includes a cluster that never matured. I hope next year I will manage to get both varieties to produce. I hope to finish up the bee rescue today. I have developed a more simple option that could have been completed on the original rescue day. Rookie mistake and hindsight is always 20/20! 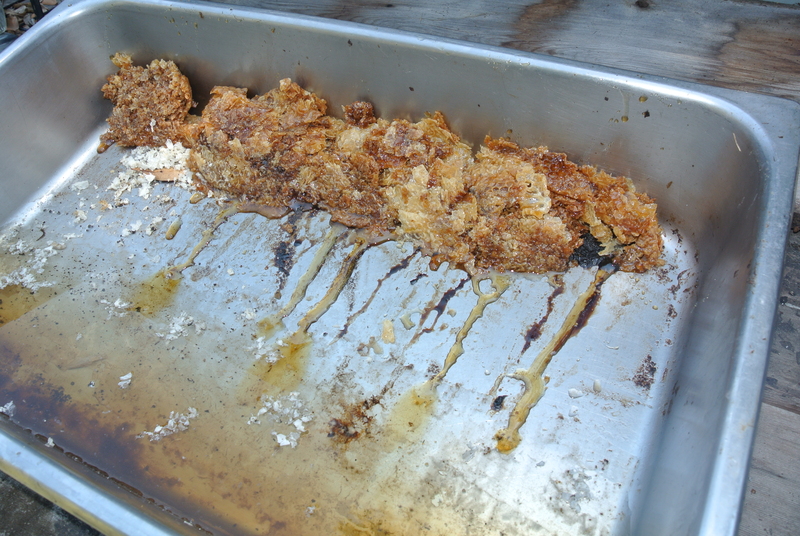 Breaking news- part two of the bee rescue has been postponed until tomorrow. Details following the fishing report. This find was unexpected up to a point. 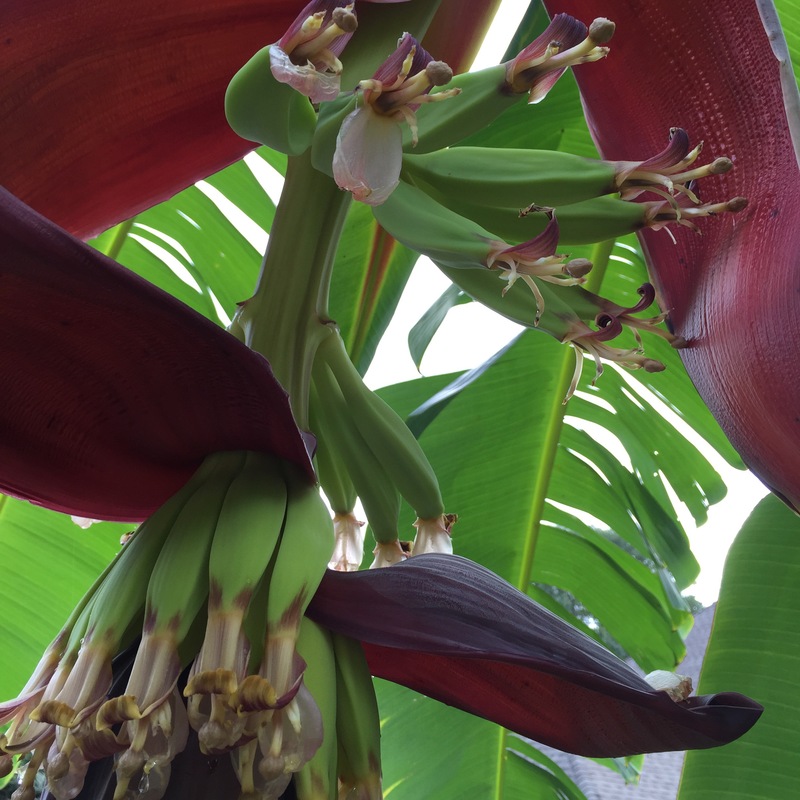 In the spring of 2014 I planted two varieties of banana tree in my garden. 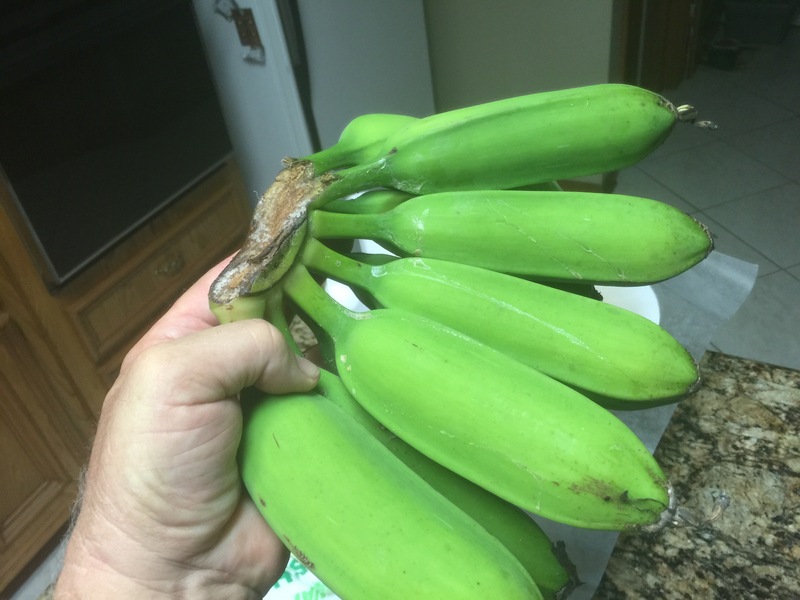 I was at the point of digging them out this year if they did not produce. The other drawback is the sheer size of the plants. They dominate their portion of the garden. This morning I went out to visit the garden after 10 days away. Daughter Lisa and son Ben kept things green while I was gone. 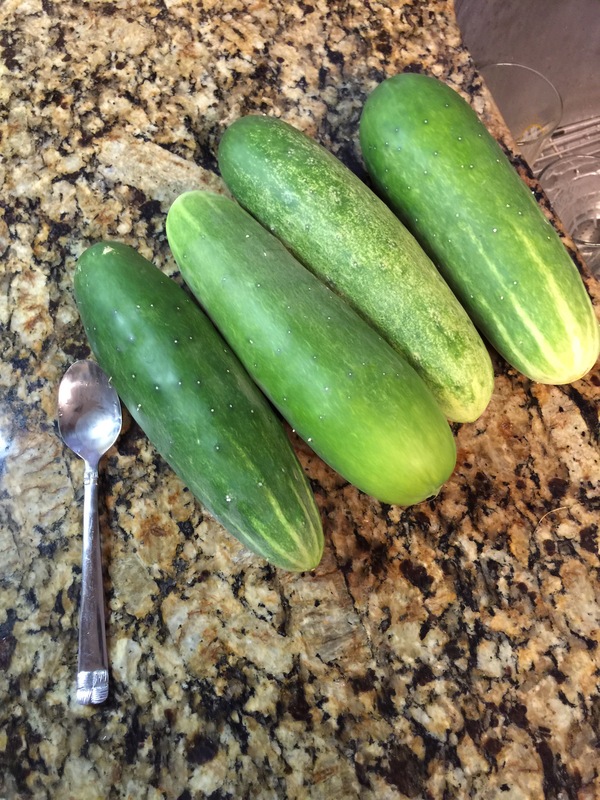 I picked 4 nice cucumbers and have many more developing. The peppers are not doing well and the heat/humidity have done major harm to my tomatoes. Looks like the potatoes in the cage will be good. There is always next year! 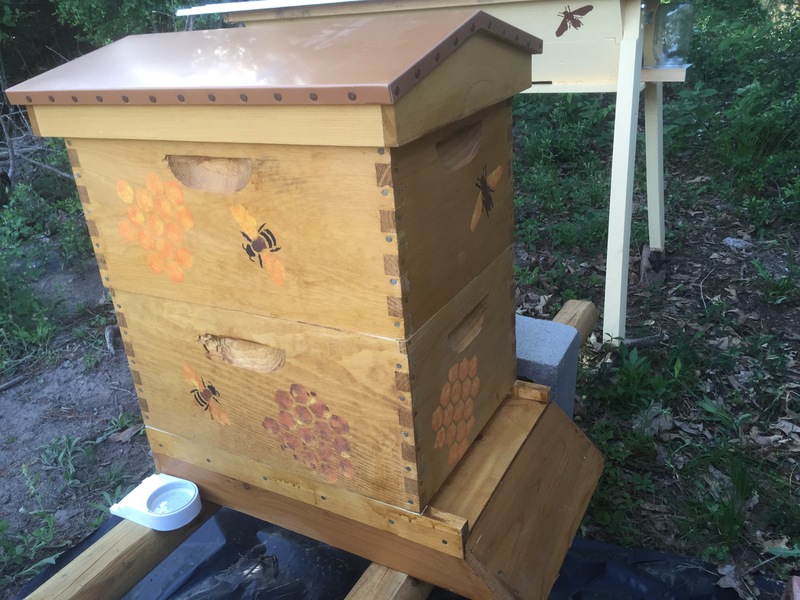 My bees, two out of three hives look healthy. 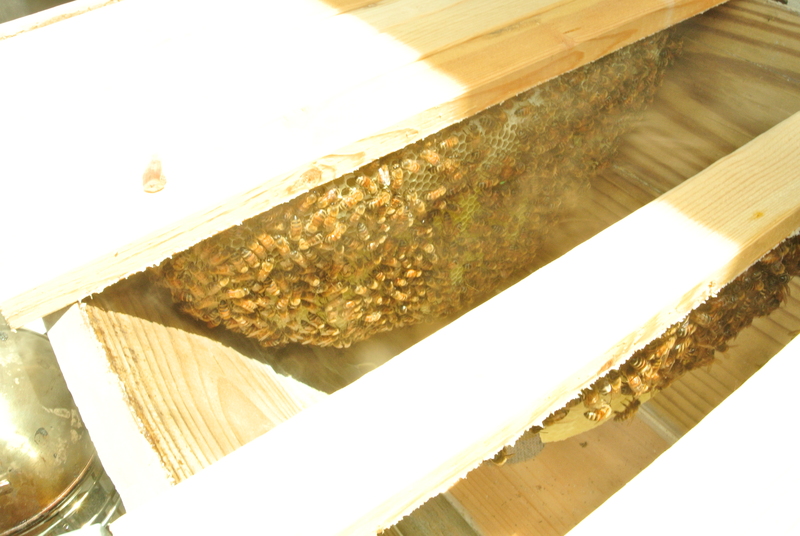 One of the top bar hives is in trouble. I will check it out later today. 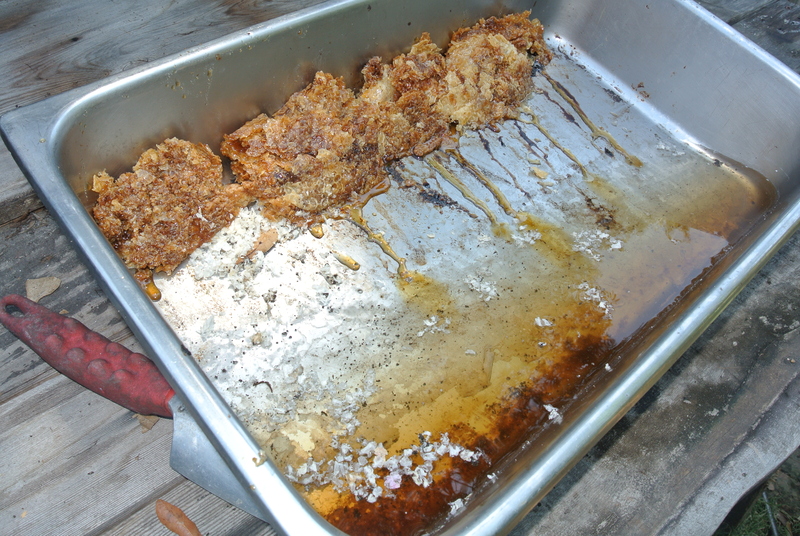 I have 4 gallons of honey to harvest this week! Yee Haw! Now, the surprise! 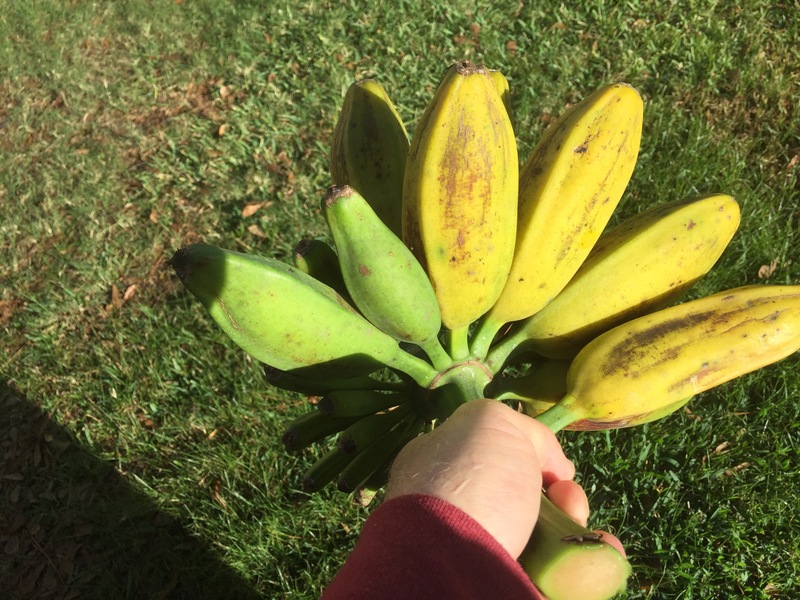 I have bananas! Yessss! 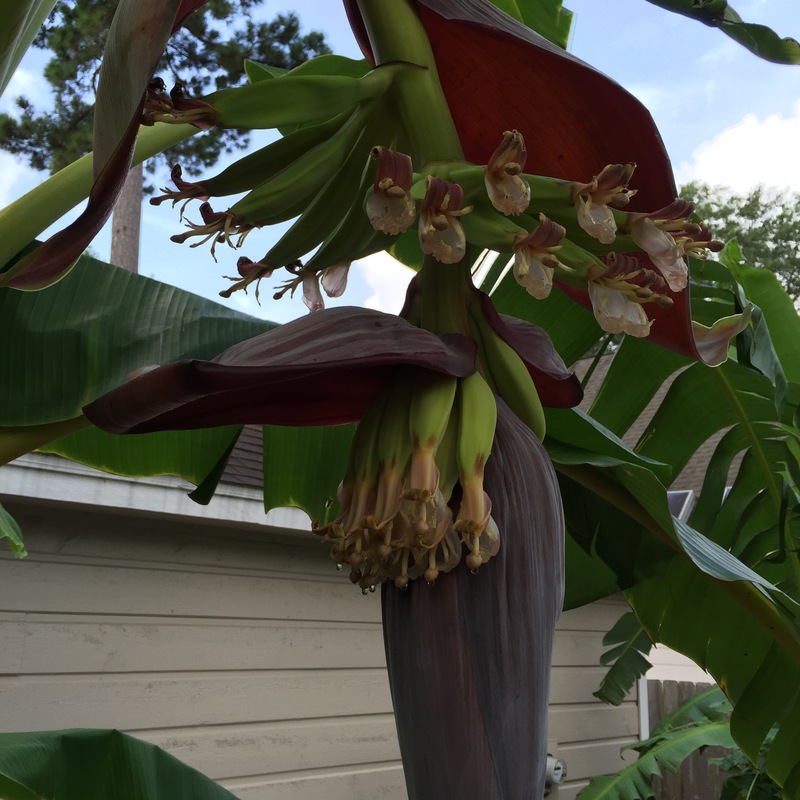 Now, I need to determine when to harvest. It is interesting to see how they develop and arrange themselves! 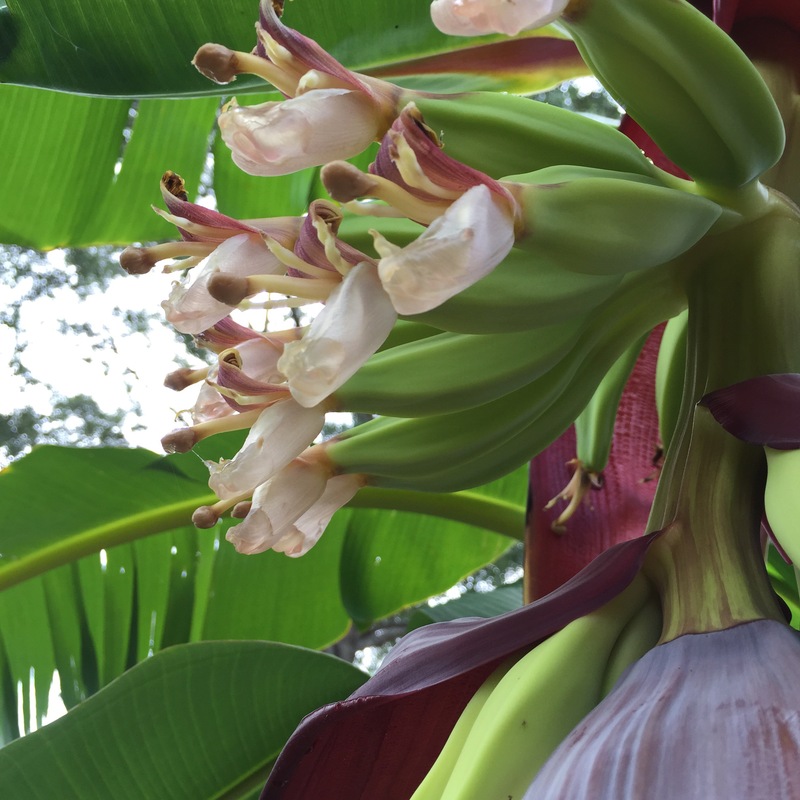 I am looking forward to sampling the fruits soon!